Turns out the first lesson I'll be learning as I enter my eighth year of blogging is how to count... this little corner of the internet is SEVEN this year, not eight. 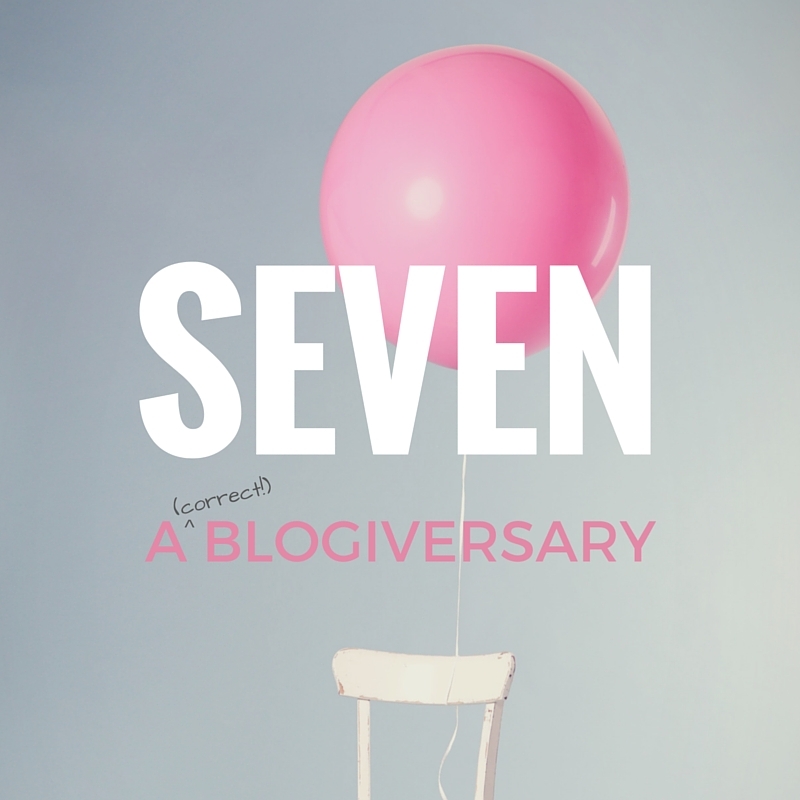 Snow White has seven dwarves; a week has seven days; Voldemort had seven horcruxes; I've been blogging for seven years. All of the rest of my sentiments remain the same. Thank you for being here! Now excuse me while I go wipe this egg off my face. Apparently I've been at this little blog thing for eight seven years. EIGHT SEVEN YEARS. As my five-year-old niece (who is three years younger than my blog, might I add) would say, "Whoa, nelly." I've learned so much in this space: how to put books that don't work down; how much I value a chance to write about my favorite books (and in my favorite books); how incredible and supportive and lovely and intelligent the bookish community can be. Blogging has led to a few freelance writing gigs and connected me to people all over the world as well as people right here in my new-to-me hometown. I wasn't planning on doing anything to celebrate here, but I've just finished the kind of book that makes me grateful all over again to be a blogger and have the opportunity to shout, loudly, about the lesser-known books I love. So I'm offering to pre-order a copy of The Dead Ladies Project for one lucky winner. Open to anyone in the world provided The Book Depository can ship to you. I'll pick a winner on Friday, September 4th. This book left me with a drying-up pen. It's already dog-eared on every other page; it's the kind of memoir that is introspective while also providing a way for us to process the lives of others and how our own connect to them. And connect to places, and moments in history, and moments in the future. 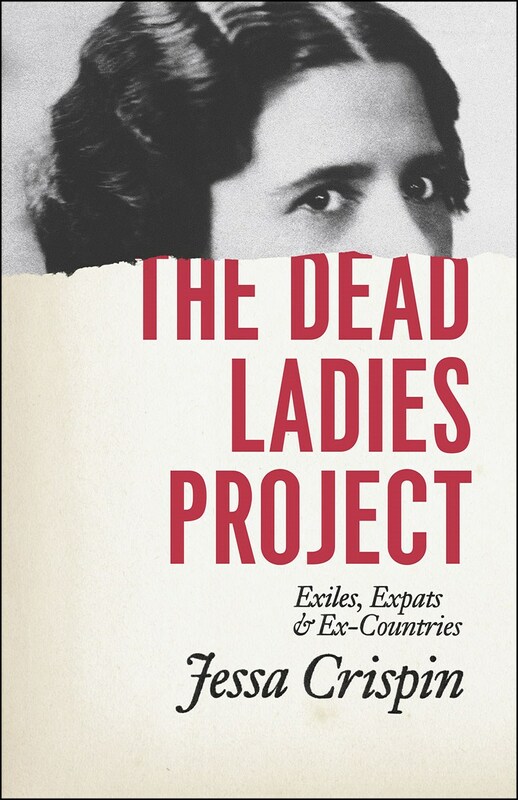 As author Jessa Crispin travels the world, following in the footsteps of semi-famous figures (Maud Gonne, Igor Stravinsky, among others) who left behind convention and stability in favor of freedom and exploration, she explores that age-old question of how to live in a way that truly resonates. Happy reading, and thanks, as always, for being here.